New features include flank rate of spread calculations, output table customisations and many optimisations to fire behaviour calculations. Amicus is a new multi-platform computer application developed by CSIRO that enables the easy calculation of expected fire behaviour from burning conditions that you enter. It synthesises our current knowledge for predicting the behaviour and spread of bushfires in a range of vegetation types as well as providing simple calculations of expected fire danger. 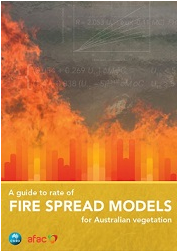 Amicus is a companion to the recent publication released by AFAC and CSIRO, A Guide to Rate of Fire Spread Models for Australian Vegetation, available from the AFAC bookstore.